When you desire more than wine, try the devonshire tea! 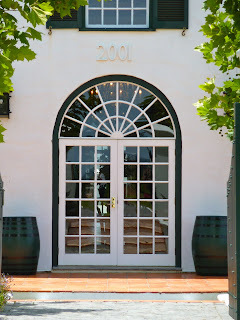 On a recent trip to our wonderful south west of Western Australia, we called into the outstanding Voyager Estate. Not for the excellent wines, the morning tea. This was my third visit to Voyager (all for dining) and each time my party have been impressed. My intention this visit was the devonshire tea with a green sencha tea and my guest chose the gluten free orange and syrup cake with a flat white. The scones were warm, soft and very tasty with the strawberry jam and generous amount of cream. The green sencha tea was served in a good sized, lovely pot. Booyah- all most enjoyable. As for the orange cake feedback; "tasty, moist and couldn't get any better"- so a great choice all round. The restaurant is in a wonderful relaxing room where you can enjoy the very fine dining of the Voyager Estate. Recommend a visit. I will most definitely start following your blog. I love it! Have you tested high tea in C Restaurant in Perth? Would love to hear your comments on it! I would recommend Voyager Estate as I have been most impressed with the venue, service and food. I would suggest you check with them and see if what they are offering as a high tea is what you require. I should imagine they could arrange many combinations. I haven't reviewed the C restaurant as yet. I have reviewed a few that I have chosen not to post because I would like to write at least something positive about that particular establishment and in some cases it is not possible.